Welcome to Premier Bonsai. We're a mail order specialist in bonsai trees, tools, soils, re potting accessories, feeds & fertilisers, fine hand made pots and much more. After months of planning and hard work we are very pleased to have launched our brand new website. The old website was quite dated and was originally set up just to get us going. By having our new website we think we'll be able to give you the customer a better deal, a more reliable, efficient and quicker service. 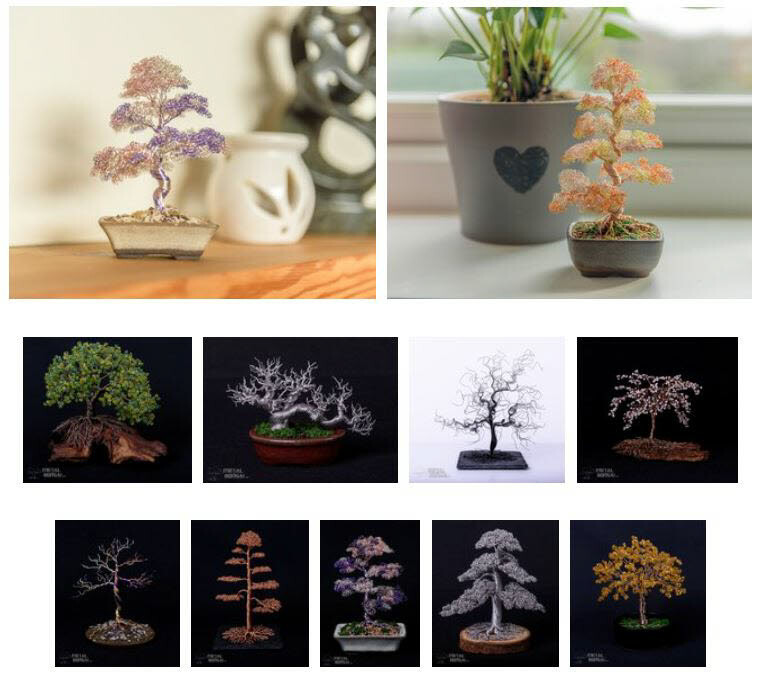 We are a small family run business with a huge passion for bonsai. We're dedicated in bringing you the very best products and service possible. As a smaller company your orders mean that little bit more to us and we're able to make your shopping experience a bit more special and personal. Here at Premier Bonsai we guarantee a fast, friendly and reliable service. If you have any questions we'll do our best to answer them for you. 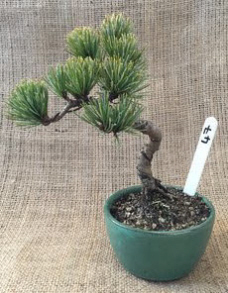 All of our bonsai trees are hand picked for their unique qualities and characteristics. All trees are in peak health before being offered for sale. We have all the essentials you'll need to care for and maintain your bonsai trees to the highest standard. Where possible we try to only stock items we have tried and tested ourselves. If you can't find what you're looking for or are looking for a particular tree just get in touch with us and we'll do our best to find it for you. Our range of stock is steadily growing all of the time so be sure to check in with us often to see our latest products. On the left you will find our category menu where you'll see our products categorized. Simply add a product by clicking the 'add to cart' button. This will add the item to your basket and you can check out or continue shopping. If a product requires an option or choice to be selected you have to click the 'more details' tab to select the option or choice. When you are ready to check out click the 'shopping cart' tab at the top right of the page. On this page please select the country you wish to ship to and the shipping charges will be automatically calculated based on the size & weight of the item in your basket. Now you need to accept the terms & conditions and click the 'secure checkout' button. This will take you to our secure Santu page where you can fill out your shipping details. When you have entered your details click the 'send order' button and a secure PayPal page will open where you can log in or use a credit / debit card to pay the balance. Once we receive your order we'll manually send an invoice to let you know we have received your order. We will then process your order and update your shipping status accordingly. Please get in touch if you have any questions. Products marked in a green box with 'Awaiting Stock, Pre Orders Available' are items we are awaiting to restock. These items can still be ordered and are usually back in stock within 4 weeks. If your order contains items both in stock and awaiting stock we can arrange for the package to be split at no extra cost or they can all be sent together when all of your items are in stock. Please leave a note in your order with your preference. 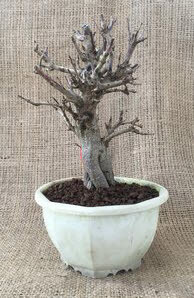 We stock a wide range of outdoor bonsai trees and material. We have many of the most popular species of evergreen, flowering and deciduous trees. All of our trees are hand picked for their unique qualities and all trees are in peak health before being offered for sale. The second book from Bonsai4me, 'Bonsai Inspirations 2' re-printed as a new 2nd Edition. With approx 40% new text and many new images. Updated Chapters covering a further 6 years of development of each tree, and a whole new Chapter covering the big Elm bonsai that features on the front cover of the book. There is also a new article describing the whole process of carving and creating deadwood used by the author. Roughing-out, ageing and refining, and staining deadwood are all described in detail. We're pleased to be releasing an Autumn edition of 'special edition' Erin Bonsai pots. Over the past couple of months Glyn & Victor have been very busy in the studio getting this batch of 'special edition' bonsai pots ready for us. 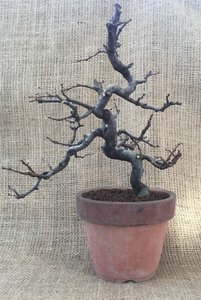 These Special Edition pots can be difficult to get hold of at the best of times and usually sell very quickly, so we thought a big batch of 25 SE pots would give everyone a chance to get hold of one of these unique bonsai pots. We have a mixture of styles and glazes to suit a range of tastes and trees. A soft cornered rectangle with crazings in the bright yellow glaze. A glossy red rectangular with soft corners. A shallow rectangular with so much going on in the deep green / blue glaze. A rugged and earthy round bowl. A round red bowl with delicate feet. A nice cascade with chalky glaze. A heavy, earthy and rugged rectangular pot. A shallow oval with red glaze. A soft cornered rectangular with greenish tones. A shallow rectangular with subtle crazings. A raw rectangular with sharp corners. Soft cornered rectangular with earthy glaze. We have a nice selection of bonsai pot by Swedish potter Thor Holvila. These pots are hand crafted and each is unique. Hand crafted wire tree sculptures created by UK artist Matthew Gollop. Created from hundreds of strands of wire which run from root to branch tip/ foliage cluster, the trees support themselves and no glue is used. Each tree sculpture is unique, just like the real thing! We're pleased to introduce the B4Me page where you'll find some very useful products used & approved by Harry Harrington the author of the highly successful & very popular books 'Bonsai Inspirations 1 & 2' and 'The Foundations Of Bonsai' The page features Carving Tool Cleaning Solution, Anti- Transpirant Spray, Black Deadwood Hollow Stain. New in at Premier Bonsai a selection of power carving tool bits including the Nibbler R & Nibbler T in two different sizes. Used and approved by Harry Harrington and many others. Our range of power tool carving bits isn't the biggest but the bits we have are high quality, very popular and used by many. We Have a huge range of bonsai tools that seems to be expanding all of the time. Our budget range of bonsai tools are very popular with beginners and people on a budget as they pack a punch for the price. We also stock fine quality Japanese tools made to the highest standard from Japanese steel, for when only the best will do. What ever bonsai tool you're looking for we're sure you'll find it here! 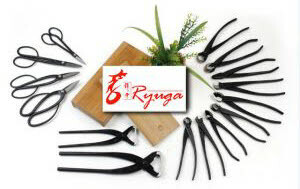 Ryuga bonsai tools are very popular and are our fasted selling bonsai tool line. They come in both stainless steel and black carbon steel. Both versions are equal in quality but the black carbon steel versions are a little cheaper. Of course the stainless steel versions feel great to use and look great but the black carbon steel versions will do exactly the same job and are also a fantastic choice. Ryuga have a great range of bonsai tools & accessories available now. 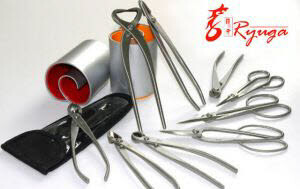 Yagimitsu bonsai tools are from our premium range of Japanese bonsai tools. Their made from high quality Japanese steel and are some of the very best tools available. They come in both stainless steel and black carbon steel. If cared for in the correct way these tools can last a life time. Repotting your bonsai tree is also a very important part of keeping bonsai over a long period of time. As your tree grows so do the roots. If you don't repot your bonsai it will eventually become pot bound and the health of the tree can slowly deteriorate and may even die. 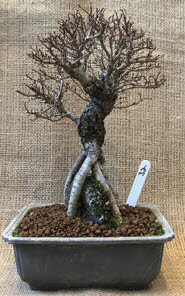 Root pruning and a fresh pot of soil will insure your bonsai tree stays in peak health. 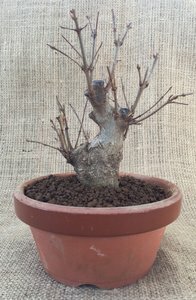 Generally you should repot in early spring just as the tree is waking up from dormancy or as the buds start to swell but before the leaves are opening. Check what species you are working with for more detailed information about when to repot as timing for some species does vary a little. Autumn repotting is also suitable for some species. Only repot if the tree needs to be repotted. Probably one the most important things for successful bonsai cultivation is good quality free draining soil that's open enough to allow the roots to breathe and allow the pot to dry out a little between watering. It will also need to retain the right amount of moisture and nutrients between watering. We stock some ready to use soil mixes or neat soil substrates. Click the link above for more information. 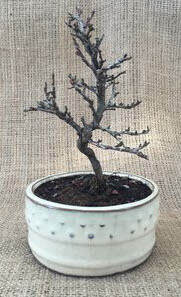 We have a large selection of standard bonsai pots available. We also have plastic training pots and ceramic drip trays available. Bonsai Inspirations Volume 2 (2nd Edition) By Harry Harrington. Bonsai Inspirations Vol 1 By Harry Harrington. Bonsai Basics The Foundations Of Bonsai By Harry Harrington.